One of the many characteristics of Italian avant-garde theatre, from the seventies through the eighties, was the overlap of acting with the physicality of movement - reality with fiction and the stage with real life; it was a new poetic language for a multimedia representation. 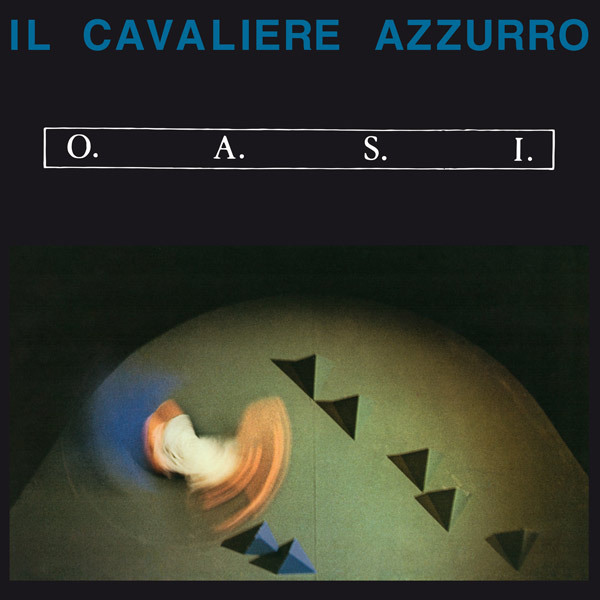 In this new language, the music composed for the stage was an active part of the performances, and the soundtrack from 1985’s “IL CAVALIERE AZZURRO” is one of its most significant examples. The musical project of the working group O.A.S.I. (Paolo Modugno, Massimo Terracini, Gino Castaldo and Ermano Ghisio Erba) blended industrial experimentation, ambient and concrete, with a strong ethnic element, both vocally and performed, then recorded and manipulated with the aid of tape recorders and samplers. This was a work that identified a historical moment of fervid experimentation and inspiration, and though intended to be played during a theatrical performance, vividly stands out without the visual accompaniment.